Why go to one New Yearâ€™s Eve party when you can join in the celebration at a collection of the most exclusive nightclubs, lounges and restaurants that San Francisco's poshest neighborhood has to offer? 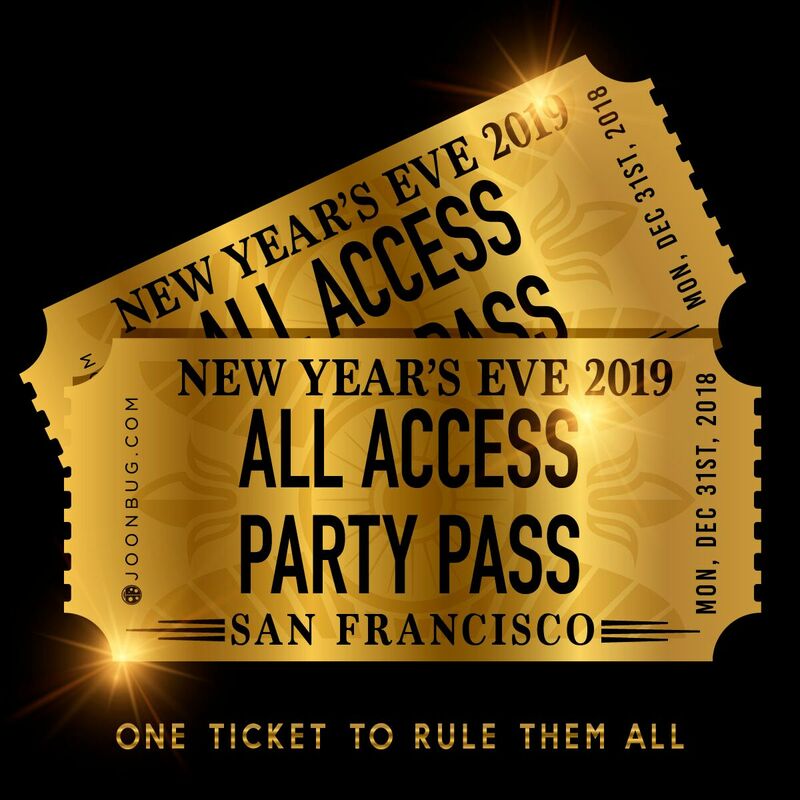 Putting an extensive selection of the cityâ€™s most exclusive celebrations conveniently on one cutting-edge itinerary, the San Francisco All Access Official NYE Party Pass is a NYE dream come true for the indecisive nightlife enthusiast. REGISTRATION POINTS: A San Francisco All Access Party Pass wristband is required for entry into the participating venues listed above. Purchase a Registration ticket to Bergerac as your starting point, receive your SF All Access Pass wristband and you're on your way to an unforgettable night! *Entrance is subject to capacity at each venue.